Uh oh! It can’t be good news when Quinn’s mother comes knocking on her door, announcing she’s come to visit for a couple of weeks to help her dearest daughter plan her wedding. Granted, this doesn’t sound like a big drama, except for one small tiny detail: Quinn and Joe called off the wedding and “forgot” to tell mother. Oops! 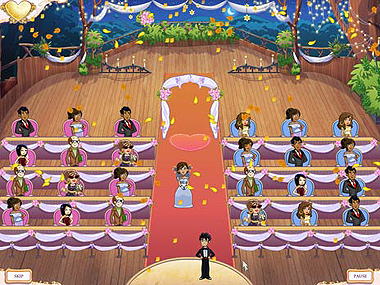 In Wedding Dash 4-Ever, another chapter in the hugely popular Wedding Dash series, Quinn assists couples on their big day by coordinating, supervising and taking care of all the little details to make sure it runs smoothly. All the while, Quinn must contend with her mother not only driving her insane about her own “non” wedding, but also interfering in her already successful Wedding Planning Business! And, while Quinn has her work cut out for her, her loyal friend Flo is also busy seating the guests at the ceremonies and the receptions, serving a three-course meal and making sure they hit the dance floor afterwards. Easy as this may sound, each guest has their own preferences as to where they want to sit: Naturally, all the single girls want a seat next to the tall, dark and handsome bachelor on the groom’s side and no one wants to sit next to the bookworm from the bride’s side! And let’s not forget our bride and groom, who can be quite demanding themselves: Whether its Jen & Brian, the renowned wine experts, who flew in a 100-year old bottle of wine but cannot remember where they placed the exquisite wine glasses or Marie & Gary who are slightly shy and need your help in socializing with all the guests! 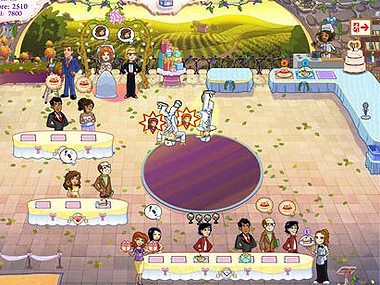 In the vein of the best Time Management games, there are also lots of fun mini-games in-between weddings, like forming a congo line or a hidden object game in which you must help the happy couple collect items accidentally left behind by their guests, like teddy bears, cameras or even lots of tissues lying around. After each successful round you can also purchase upgrades, like a better table for the guests which makes them more patient, faster shoes which give Flo and Quinn super powers or larger trays so Flo can serve more guests at the same time. And, if the whole wedding is successful Quinn receives a gift from the happy couple! Each gift brings Quinn closer to building her own dream wedding, until finally she will have the perfect ceremony. 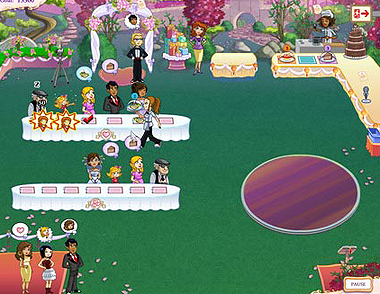 With five chic wedding locations including a Greenhouse, a Vineyard and a Lover’s Promenade Wedding Dash 4-Ever is lots of fun! And, as long as you can avert potential wedding day disasters including Bridezilla, a messy food fight or even those pesky wedding crashers, you might just be able to help Quinn unlock her own dream-wedding venue. Now the question remains: who on earth is she going to marry? 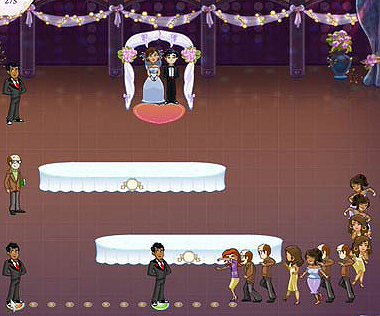 Download and play Wedding Dash 4-Ever for FREE! this game is great i could play it for hours! my little brother could play the game for hours and hours i love all of your games wedding dash wedding dash2 wedding dash3 and wedding dash 4.
ape yang kau nak cakap! I have had a blast playing different games from your list. Just wish they would last longer. i love it so much that i wood like a poster fo it and is it fun?